Unwanted guests are never fun, especially when you can’t ask them to leave. Luckily, Plantation pest control companies have no problem kicking them out. Whether there’s a rodent in your basement or insects in the attic, call your local Plantation exterminator to take care of them — do not try to wrangle them out yourself! Not sure which type of home pest control service in Plantation, FL can tackle your issue? Read profiles and ask about their past experiences to get a good idea. A qualified pest exterminator from Quality Termite & Pest Control can provide you with the dependable services you’ll need to manage any unwanted guests in your home. 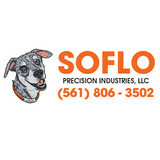 Locally owned and operated in Davie, FL, our business prioritizes excellent customer service and quality work. Our professionals take pest infestations seriously, and we assess each situation carefully so that we’re able to determine the optimal approach for the quick and thorough elimination of unwanted pests. Because we respect the value of your time, we work hard to maintain flexibility in our schedule. Our goal is to accommodate the people we serve and to draw on our experience to resolve any issues brought to our attention. R.B. 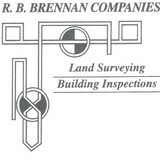 Brennan Inspections and Land Surveying, Inc. In 1985, our company was established in Palm Beach County as a full-service real estate service firm specializing in the inspection and land surveying of residential and commercial properties. R.B. Brennan Companies offers every type of these services that a property buyer or lending institution could require. These aspects of the real estate process are available for Palm Beach, Martin, and St. Lucie Counties.. We are licensed and insured. Florida Pest Control Center is independent, and family owned. We are your local Broward County exterminator. 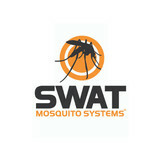 We are dedicated to sustainable pest control. You can expect each Florida Pest Control Center technician to be on time, courteous, and never pushy toward you when recommending services. You deserve a qualified examination by an experienced technician and our green extermination specialists will provide you with recommendations for your customized pest control treatment. We provide affordable iguana removal services. You pay per iguana and we provide proof of each animal removed. We follow FWC regulations and recommendations for iguana and duck removal. Many customers deal with iguanas infesting their roof, attic, dock, poolside, and landscaping. They decimate expensive flowers and dig under foundations, as well as seawalls. We have a biologist on staff to answer all your questions when you call. Paino Pest Management is a pest control company located in West Palm Beach, Florida. We specialize in Residential, Commercial, and industrial pest control. Our goal is to keep your residence and business pest-free. We tend to all your infestation and insect extermination needs to ensure a chemically safe, pest-free environment. We are renowned for reliability and unwavering quality of service. When you are looking for professional help for unwanted intruders, Paino Pest Management is a company you can count on to get the job done in a safe, sustainable way. This is not just a job to us; it’s a career centered on helping our customers with safe, trusted pest solutions. We work closely with many units and industries including real estate, markets, restaurants, apartments, condos and homes, as well as businesses, warehouses, and lots more. Let us work with you to keep your environment pest-free with Paino Pest! Have you got pests in your home or Business? Bed bugs, rodents, ants, and other pests are nothing to be taken lightly. And when you are looking for a pest control exterminator in south south florida, you want to make sure you call someone who gets the job done right the first time. It’s a big decision to make. Family owned business providing professional, environmentally friendly lawn care and pest control services in Palm Beach County. Our Lawn Care Services are focused on making sure your lawn and property look great! Not just great...but the kind of great that makes your neighbors jealous! We have many residential, corporate and retail clients as well as Property Management firms/individuals who depend on us. Call us today and find out why! Orion Pest Control Services specializes in full service pest control solutions for both residential and commercial clients. Orion Pest Control Services is located in Broward county, Florida and services all of south Florida. Orion Pest Control offers complete lawn control services and provides a thorough application which covers major turf destroying insects including weed control, disease control and fertilization. We offer a very comprehensive and thorough termite control service that will continue to protect your home or business against all termites all year round. Our specialists will strategically install and service your area to deliver fast and effective control. Orion Pest Control can help eliminate all rodent infestations in your home or business property by applying effective, state of the art strategies that rapidly eliminate most rodent infestations very quickly.